We at Casa Del are proud to provide some of the best novelty desserts Sydney has to offer. We have something for every event and occasion. The Melbourne Cup is no exception! The Melbourne Cup is Australia’s most prestigious horse race and it draws jockeys and horses from all around the world. It is held on the first Tuesday of November every year at Flemington Racecourse in Melbourne. You don’t have to be a Melbournite to enjoy the race, after all it isn’t referred to as “the race that stops the nation” for no reason! Whether you plan to watch the race on TV, head out for lunch with your colleagues or cheer on the favourite with your family; the 2017 Melbourne Cup deserves to be celebrated in style. Casa Del can provide a variety of novelty desserts Sydney customers will love. 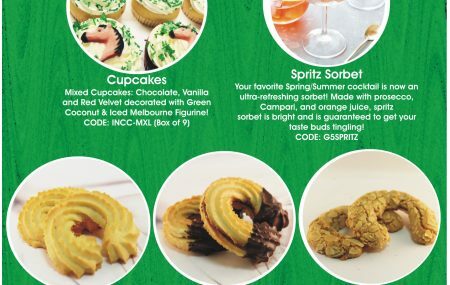 Our Melbourne Cup range includes delicious cupcakes, refreshing sorbets and crowd-pleasing biscuits. Set the mood in time for the big day on November 7 and place your order today. Cupcakes are the ultimate celebration cake. They are easy to share around and make a great statement piece on the table, especially when they are decorated by us. Our mixed cupcake selection includes chocolate, vanilla and red velvet cupcakes which are decorated with green coconut and an iced Melbourne figurine. The green coconut is reminiscent of the lush green lawn at Flemington, and the iced horse or hat figurine takes pride of place in the centre. Your favourite cocktail is now available in this super refreshing sorbet! With flavours of proseco, campari & orange juice this flavour is just perfect for the season. Our sorbets are made using only fresh products to provide you with a taste sensation like no other. Grab some for your Melbourne Cup celebration! Our novelty desserts Sydney customers can choose from include Shortbread, Nutella Crescent and Almond Hazelnut. Each one of these delicious biscuits are made from the finest ingredients and have been shaped into the form of a horseshoe. There is something for everyone. The shortbread is made from rich butter and the finest almond meal to provide a melt in the mouth experience. The Nutella Crescent adds a decadent twist of homemade Nutella filling and the tips have been dipped in dark Cadbury chocolate. For those that are looking for a gluten and dairy free option, the Almond Hazelnut is the ideal choice. This biscuit is 86% fat free and made from crushed almonds with a hazelnut flavouring before being decorated with almond slices – yum! Get in touch and place your order in time for the Melbourne Cup. Our desserts are always a winning pick! The weather is starting to heat up, so why not cool down with our extensive range of gelato in Marrickville. With the Spring and Summer upon us, Casa Del have created a range of fruity flavours to match. Perfect for lazy days by the pool or as a treat to yourself. Here are a few of our flavours on offer. Tropical flavours are bold and refreshing, and in Australia we are lucky to produce some of the best tropical fruit in the world. Sample our award-winning Mango Tropical gelato, made from delicious QLD Alphonso mangos. The fresh taste and smooth texture is perfect for those hot summer days. Love bananas? Then you need to try our NEW Banoffee Gelato. We use fresh bananas and blend them with caramel and choc chip to provide a unique taste experience like no other. Everyone loves a banoffee pie, but now you can get your fix in gelato form. Lemons are the ideal summer fruit. They are tart and refreshing, and when combined with fresh milk they produce a silky smooth and zesty treat for the warmer weather. Made in a traditional Italian style with fresh Aussie lemons, our Lemon Sorbet must surely be the most refreshing gelato in Marrickville. Strawberries are grown all year round in Australia, and thanks to our warm and sunny climate they we produce some of the sweetest and highest quality berries in the world. Our Sweet Strawberry is a classic flavour and 100% natural. Fresh strawberries are blended with fresh cream to produce a wonderfully smooth gelato with strawberry pips throughout. The Sweet Strawberry flavour is a popular choice with our customers. A must try for the berry lover. Casa Del boasts some of the best Gelato in Marrickville! All our gelato is made from fresh Australian fruit and dairy, and there is a flavour for everyone. If you’re looking for a fruity and refreshing treat for the warmer months, then try our gelato range today. Available in sizes: 125ml cups (box of 12), 1L Tub and 5L tubs. Mint and chocolate, a cooling taste sensation perfectly fitting for the summer. 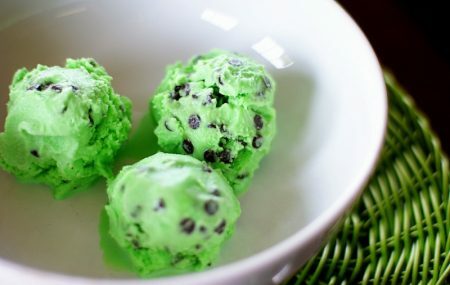 Dig in to our cool peppermint gelato which has been blended with dark choc-chips. This combination is our number one pick for summer, as it delivers a refreshing, minty blast with every bite. One of our most popular flavours, the Pannacotta Caramello is a DIAA award winning gelato made from cooked cream. It has luscious swirls of caramel sauce throughout, resulting in a smooth and indulgent dessert. Panna Cotta is a classic, and it’s a hit with children and adults alike. We take fresh Aussie strawberries to create a naturally fruity and refreshing gelato. We even leave the strawberry pips in, giving our strawberry gelato rustic appeal and excellent flavour. Silky, smooth and delicious – you can’t go past this one. An Italian favourite, perfect for summer in Australia. The perfect blend of chocolate and hazelnut gelato finished off with crunchy chocolate hazelnut pieces throughout. Rich, creamy and ideal for the warmer months. This one’s for the citrus lovers, and quite possibly the most refreshing of all. 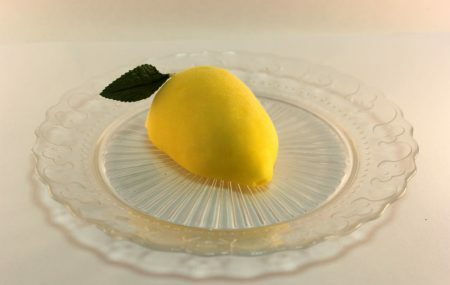 Our famous lemon sorbet is made from fresh lemons. We strike the perfect balance between sweet and sour. Each bite is full of tangy refreshment that cleanses the palate and rejuvenates the soul. Perfect for lazy afternoons in the sun or days at the beach. If you find yourself searching for gelato Marrickville, look no further. Treat yourself to our refreshing gelato this summer and experience the Casa Del difference. Our rum balls are part of our Christmas range, and they are the perfect treat to yourself or as gifts to your friends and family. We form our famous chocolate mud into round balls, which are then soaked generously with rum syrup before being topped with melted white chocolate and holly decoration. They look great on the Christmas table, but they taste even better. This special treat for the summer holidays is only available for a limited time, and it’s one of our top sellers. Make sure to sample them before they’re gone! Passionfruit… that delicious, zesty summer fruit that seems to go so well with desserts. It’s no secret that Aussies love passionfruit, and it tastes even better on our light and fluffy cheesecake. With a buttery biscuit base, this cheesecake topped with tangy passionfruit sauce is one of the most refreshing summer desserts Marrickville can offer. Invite your friends around for a cup of tea and a slice, it’s guaranteed to be a hit. If you’re looking for something refreshing that can also satisfy your chocolate cravings, then the Brazilian Tango is for you. This cake is made from a blend of smooth strawberry and passionfruit gelato, which is then covered in chocolate ganache and topped with fresh fruit. It is beautifully presented and oh so perfect for summer. Lemon is one of the most refreshing summer flavours around, and Australia produces some of the best citrus in the world. Our noble lemon takes the form of a half lemon. This impressive dessert is made from our award-winning lemon sorbet and dipped in white chocolate. It looks almost too good to eat, but it will prove hard to resist on those hot summer days. Pure refreshment! You can never go wrong with chocolate, and this one can satisfy everyone. We take our rich chocolate mud and coat it in chocolate ganache before decorating with chocolate scrolls. The marble effect adds some visual interest and wow factor. It is a chocoholics dream and perfect for all your summertime celebrations. So, what are you waiting for? Treat yourself, family and friends with our range of summer desserts Marrickville! Catering for large gatherings such as parties and corporate events can be stressful, but it doesn’t have to be! Casa Del offers a quick, easy and convenient online ordering system that enables you to order desserts online. You can browse our wide range of products and place your order in a matter of minutes, all from the comfort of your own home or office. Here are a few reasons why it makes sense to order desserts online. We know your time is valuable, so we have a quick and easy checkout process in place. Simply add your favourite product to cart, fill out your billing details and pay for your order with PayPal (You can pay with your credit card if you don’t have a PayPal account using Pay via PayPal). Once your order is confirmed you can sit back and relax and wait for your desserts to arrive. 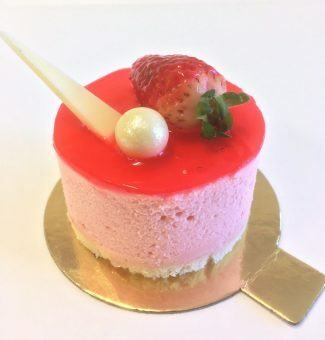 When you order online from Casa Del, you can select to pick up from our location in Marrickville or have your favourite desserts delivered right to your door. We offer delivery from Monday-Friday to the Sydney CBD area and the minimum order amount to qualify for delivery is $70. Orders under $70 must be picked up from our Marrickville factory. We make it easy to cater for your guests. Whether it is a wedding, birthday, office party or special occasion; we will make it a day to remember. Browse our full range of award winning cakes, biscuits, desserts and gelato at your leisure and place an order from your smartphone or computer. We have extensive experience in producing and supplying desserts for large events. Say goodbye to waiting in ques and ringing around! Order desserts online from Casa Del. Our popular banoffee torte is one of our best sellers, and it has an interesting story behind it. The original version of this cake was created by our Head Pastry Chef Jose Mendonca in his early days as an apprentice. He was told to make a tart containing caramel custard, fresh bananas, fresh cream and bits of chocolate. This was very exciting for him, as it was an opportunity to experiment and create something of his own. He decided to start with an Italian short base, a classic option for tarts with its soft, crumbly texture that melts in the mouth. He then took it to the next level by brushing the short bread with dark chocolate, before adding vanilla custard with caramel flavour. The fresh banana was then sliced into pieces, with each one neatly placed on top of the caramel custard. The banana and caramel provide the signature taste, but the cream is just as important. Fresh whipped cream was spread over the top before being topped with shaved dark chocolate, adding visual interest, texture and decoration. Whilst this tart was delicious, Jose’s experimentation over time lead to the development of a banana cake, with caramel butterscotch sandwiched between it. This would come to be known as the banoffee torte which we sell today. The cake is topped with fresh cream cheese icing, which also extends around the sides. The cake is then decorated with chocolate swirls to add some texture, before being sprinkled with torrone to add a delicious crunch. The combination of flavours and textures is simply irresistible. With the spring time now upon us, we are delighted to bring a new banoffee line to our customers. Our new banoffee gelato combines caramel, choc chip and fresh bananas with milk to create a refreshing treat for the warmer weather. The harmony of flavours combines to create a taste sensation like no other. If you are a banoffee fan, you owe it to yourself to try a scoop! September special – 20% off stocked gelato cakes! Gelato has a long history dating back to the 16th century. 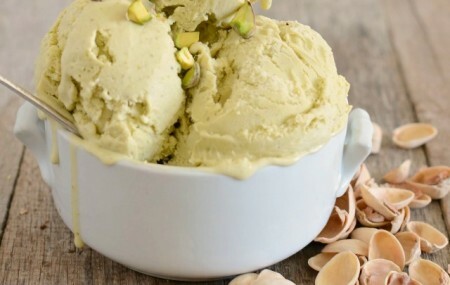 Unlike ice cream, this popular Italian dessert contains less butterfat and air, resulting in delicious and intense flavours and a melt in the mouth experience. The unique combination of fresh fruits, chocolate and nut flavours combined with milk make gelato a healthier alternative to ice cream, and some may say even more delicious! Casa Del have an extensive gelato range featuring more than 20 different flavours, and we also supply the best gelato cakes Marrickville can offer. For the month of September, we are offering 20% off all stocked gelato cakes. Simply call our office and mention this post to take advantage of this special offer. If you’re looking to try something new, here are a few of our top sellers. Thought gelato couldn’t get any more delicious? Then you need to sample one of our gelato towers. The base is made from decadent chocolate and hazelnut gelato which is then topped with assorted scoops of gelato. It is then beautifully decorated with chocolate fencing, ribbon and fresh strawberries. The varied colours, exquisite taste and towering height of this cake are guaranteed to delight any gelato lover. This cake can be purchased in both round and log shapes. For a tropical theme; try the Caribbean gelato tower, which has a mango and coconut base. How could you say no? The chocolate hazelnut elegance cake is a sight to behold. This cake exudes opulence with its chocolate and hazelnut base, smooth white ganache and dark chocolate glaze, edible gold dust and white chocolate swirl. The rich dark chocolate cascading down the sides of the cake contrast beautifully with the white ganache. Treat yourself today! Love a smooth and creamy dessert? 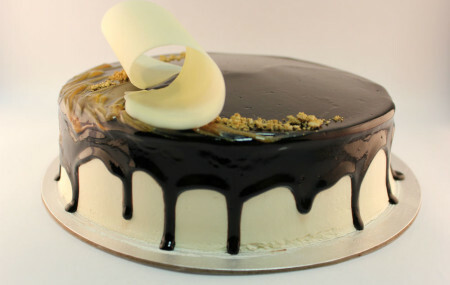 This cake is made from ‘cooked cream’ gelato laced with swirls of caramel syrup throughout. The marbling effect is simply stunning and the taste is out of this world. The cake is tastefully decorated with dark chocolate swirls. If you love fruit and chocolate, then you will love the Brazilian Tango. Smooth strawberry and passionfruit gelato is coated in a delicious chocolate ganache. The cake is then topped with exotic fresh fruits. All our gelato is made from fresh local fruit, making this cake a delicious treat for fruit lovers. If this post has got your mouth watering then what are you waiting for? Give our office a call and see what we have in stock. Mention this post and you will receive 20% off! 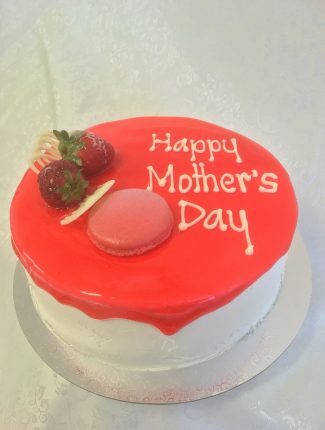 The perfect excuse to treat yourself to the best gelato cakes Marrickville can offer. Spring is just around the corner, and it is sure to provide a refreshing change from the winter chill. What better way to celebrate the warmer season than with gelato! Casa Del have the best gelato in Marrickville, with over 40 mouth-watering flavours and a range of dazzling gelato cakes and individual gelato desserts. The Casa Del gelato range caters to every taste, with many of the flavours winning awards. Only the finest ingredients go into our gelato, with flavours such as mango, lemon sorbet and strawberry being made from fresh Aussie fruit. All varieties of gelato use Australian/New Zealand dairy products to provide customers with a superior gelato experience. We are proud to support local industry and bring to market the best premium gelato in Marrickville. Fruit flavours are perfect for the warmer days, offering a refreshing treat. But every now and then you might develop a craving for classic vanilla. 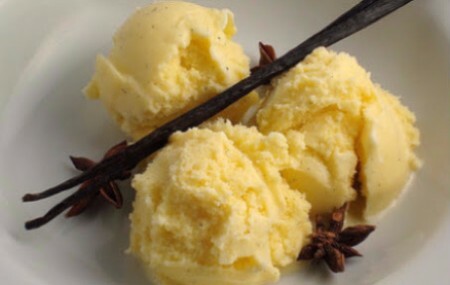 Our vanilla bean flavour is one of our top sellers, combining real vanilla bean pods with a creamy custard to result in the best vanilla flavoured Gelato in Marrickville. Nothing can beat the taste of real vanilla, and with sizes ranging from 125ml cups through to 5L tubs there is plenty for everyone. If you’re looking for something a little more decadent, then how about Bacio flavour? Chocolate and hazelnut were just made for each other, but we take it to the next level by blending it with our premium gelato. This is a favourite of all our customers and is a consistent top seller. Give it a go today! Salted caramel is all the rage right now, and it seems like everyone is experimenting with this flavour. If you are looking for salted caramel gelato in Marrickville, we have the best. Salted caramel is all about the balance between salty and sweet, and we get it right every time. You won’t know what you’ve been missing until you taste it for yourself. If you have a celebration coming up why not consider a gelato cake? 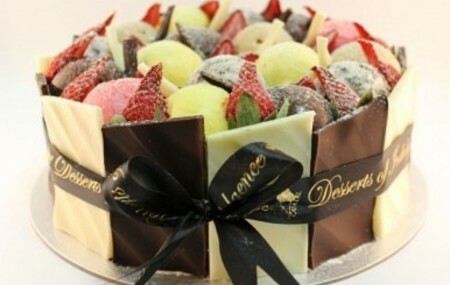 Gelato cakes come in a wide range of flavours with something for everyone. Gelato cakes are a little different to the norm, and everyone is sure to be impressed by both the appearance and the taste. Everything from crowd pleasing chocolate gelato cakes through to fruit flavoured gelato cakes can be ordered. The real show stopper is our gelato tower cake, which stands tall and is decorated with chocolate fencing and fresh strawberries. Whether you enjoy it in a cup, cone or cake, gelato is always refreshing. Beat the heat and indulge yourself today. With more than 20 different flavours to choose from, the hardest decision will be deciding which one to try first. The sun is out and it’s gelato time!! With over 20 flavours to choose from our gelato menu has something for everyone! Trying to watch the waistline? Try one of our mouthwatering sorbets! Check out our full range and indulge yourself today! ‘Tis the season for gelato cakes! Spring is in full swing and its the perfect season for our famous gelato cakes! We have a wide range of flavours, shapes and sizes available to suit any occasion. One of our most popular products is the famous Casa Del Gelato Tower! A thin layer of sponge topped with double layer gelato followed by mixed scoops of gelato on top fenced in by panels of chocolate. What more could you ask for in a dessert? We can hear your tastebuds screaming! Order one today!